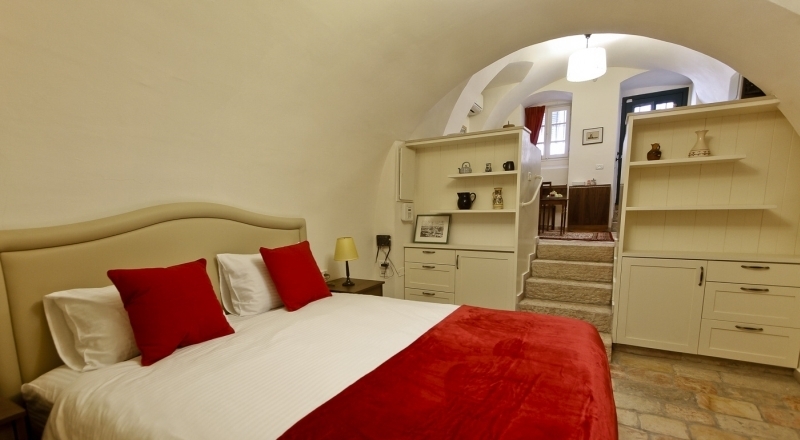 The Templer Inn is an exclusive, family-run, all-suite bed and breakfast in a meticulously-restored Templer mansion just steps from the First Train Station and within walking distance from the Old City. 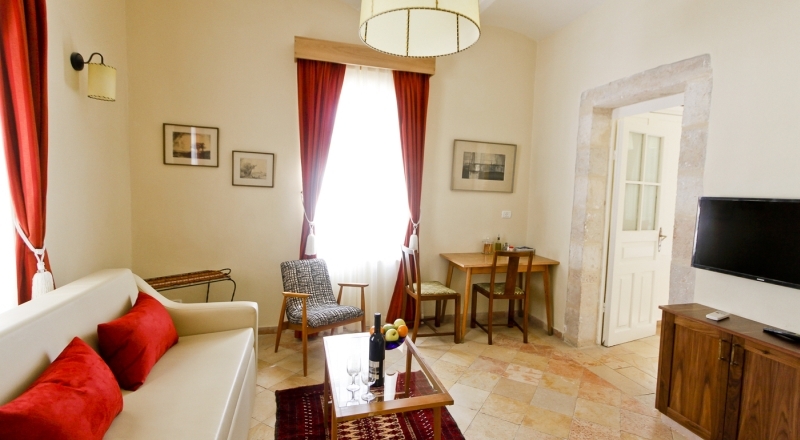 Each of the Templer Inn’s four discrete suites provides a uniquely historic experience in Jerusalem’s most desirable and central neighborhood: The German Colony. Now, after careful restoration and upgrading to 21st century standards, this distinctive 1890s landmark welcomes you to a Jerusalem only the discerning few will ever get to experience. 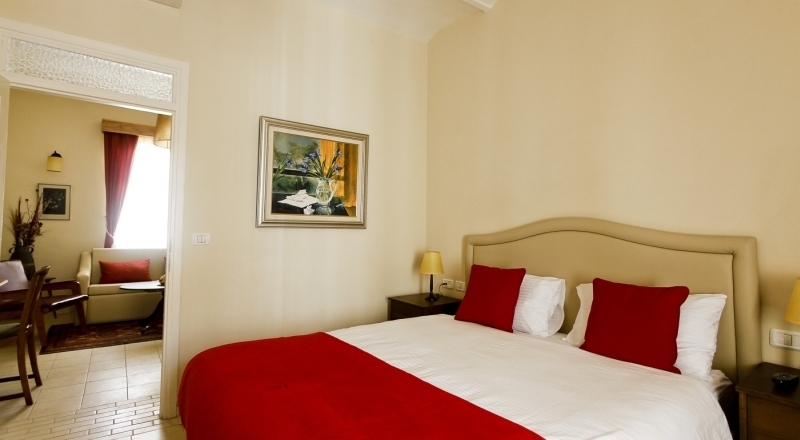 A beautiful and stylish suite, with echoes of the past and all the comfort of the present. Contains a sofa bed, fully equipped kitchenette, desk and satellite TV. A large desk, satellite TV and fully-equipped kitchenette make it ideal for the business traveler or the tourist. 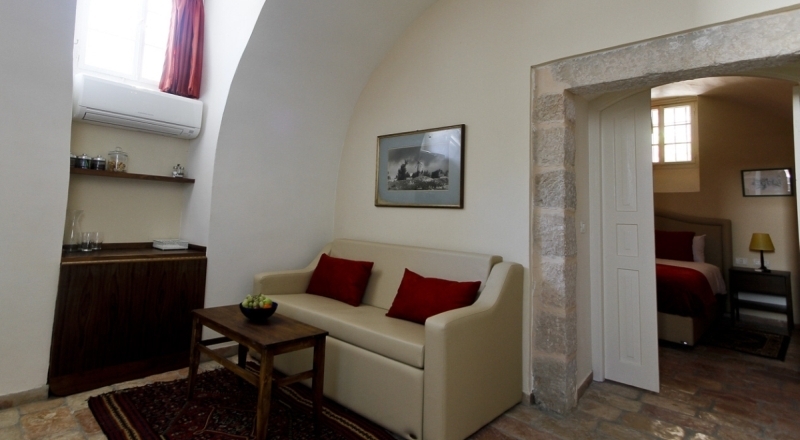 The most original suite, featuring high arched ceilings and colourful stone tiles. A quiet haven after a day of intense sightseeing and activity. Perhaps our most unique unit, as it was created out of a classic Jerusalem cistern. Perfect for a young couple, providing a quite refuge after an energetic day.